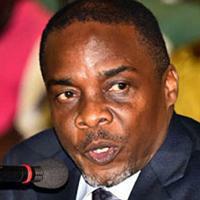 His Excellency Honorable William Byaruhanga is the Attorney General of Uganda and a member of the Ugandan Cabinet. He was appointed on 6 June 2016. Mr. Byaruhanga graduated from Makerere University with a Bachelor of Laws. He then attended the Law Development Centre, graduating with a Diploma in Legal Practice. He was admitted to the Uganda Bar in 1988. Mr. Byaruhanga has served on the board of directors of Centum Investmentssince October 2016.